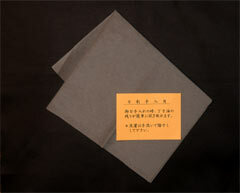 High quality traditional japanese paper especialyy made for sword maintenance. 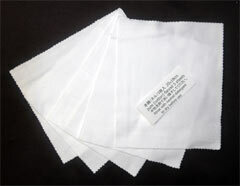 This should be throughly wrinkled to soften and removing coarse and dust elements. This should be rinsed throughly with neutral detergent to dry out of the sun before use. Ultrasuede - a trademark of Toray Industries, is a fabric made of a new nanotech material. 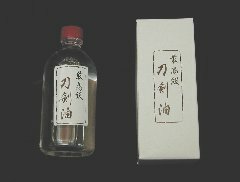 Clean sword blade without using cleaning powder. Wipe off oil entirely without scrub to reduce the risk of damage on surface. Protect the top of hilt next to the Habaki collar and the blade surface using protecter and hit slightly first until the tang becomes slightly loosened.